Making a DIY Easter card can be a fun and exciting activity. Plus you can make beautiful Easter greeting cards at home that look a lot better than commercial Happy Easter cards. This Artsy Fartsy tutorial will display you the art of easy easter card making. This handmade Easter card carries the shape of an egg with the image of Easter bunny for it. Hence it is ideal greeting card to give on the Easter and spread the holiday cheer. If you have not made homemade greeting cards before, do not worry. 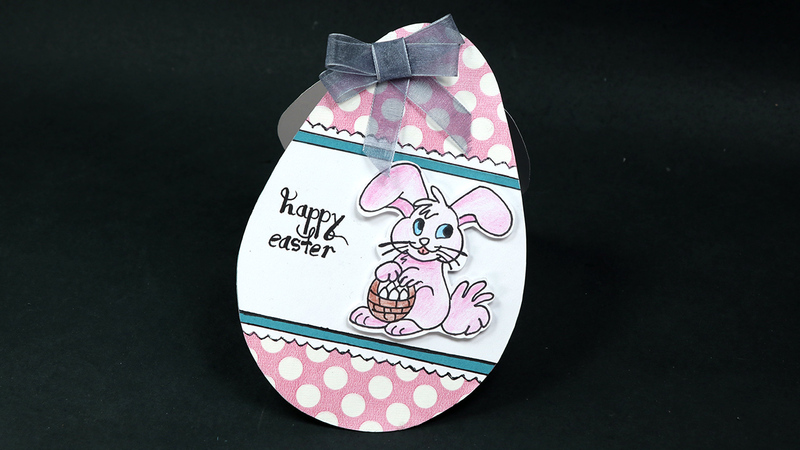 You will discover easy step by step directions in this Easter card making tutorial. Just collect all materials and get ready to make this DIY easter card. Your friends and family members will love to receive this handmade Easter greeting card. If you want more DIY Easter cards ideas, check out other Easter card making Tutorial on Artsy Fartsy! Happy Easter 2017!